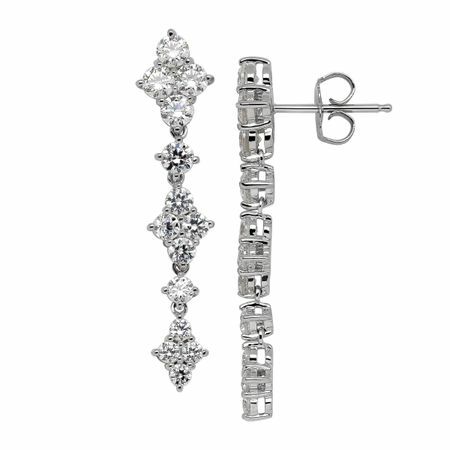 Sparkle all night in these sleek drop earrings. Radiant Swarovski zirconia are placed in a classic quatrefoil form in a setting of sterling silver. Pieces measure 1 3/8 by 1/2 inches.